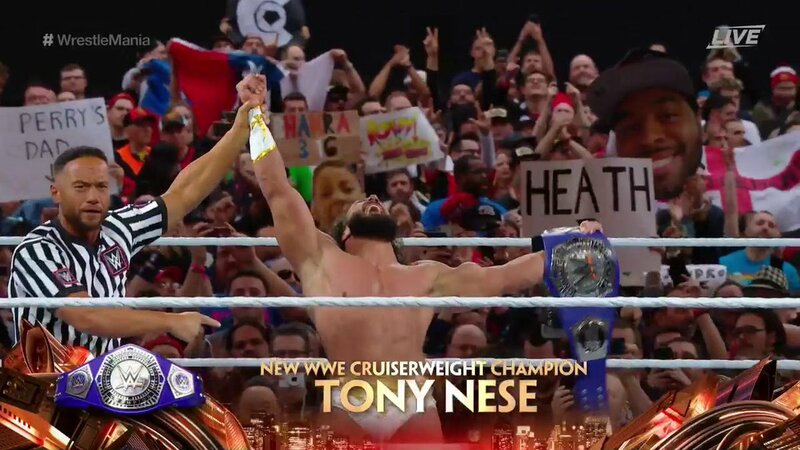 Title Change Opens WrestleMania 35 (Photos, Videos) - Wrestling Inc.
Tonight's WrestleMania 35 Kickoff pre-show opened up with Tony Nese defeating Buddy Murphy for the WWE Cruiserweight Title. This is Nese's first title reign in WWE. Murphy won the title back on October 6 at WWE Super Show-Down, by defeating Cedric Alexander.